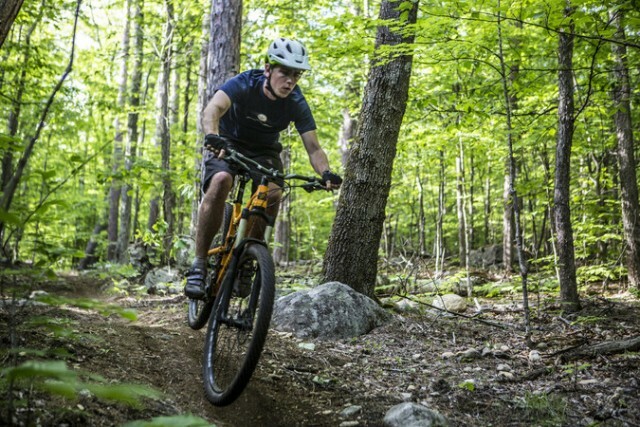 The woods of the Whiteface Region are best experienced on two wheels. 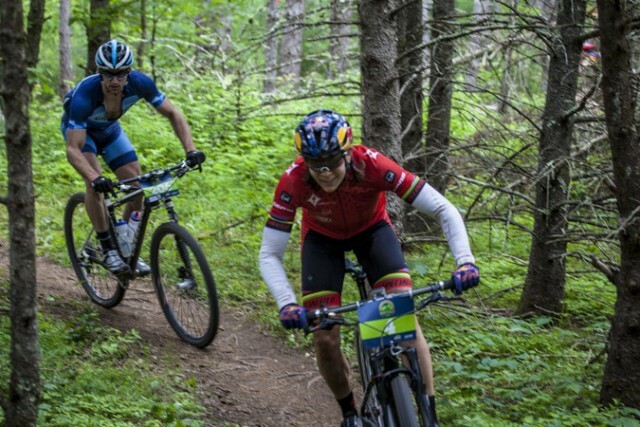 Whether you're looking for extreme downhill trails, technical mountain climbs, or fast flowing single-track, the Adirondacks are a must-ride mountain bike destination for you. In summer, the Wilmington/Whiteface 100K is part of the qualifier series for the Leadville Trail 100 Mountain Bike Race. In the fall, there's the Wilmington Mountain Bike Festival. 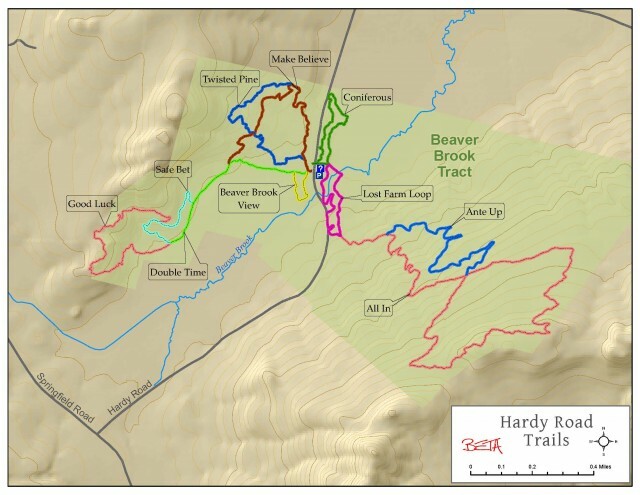 The Hardy Road trail network, located on the Beaver Brook Tract, has become well known all over the Northeast as the place to mountain bike in the Adirondacks. The sandy soil and rolling terrain on the west side of Hardy Road, combined with the 800 foot vertical climb and descent on the east side, make for an awesome day in the saddle. 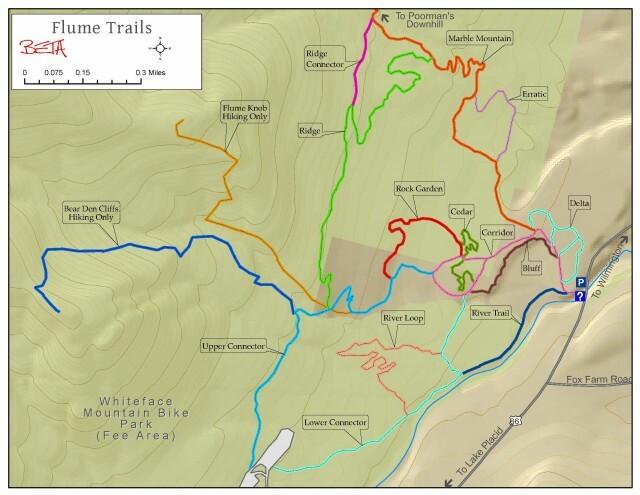 The Flume Trail Network is the original two-wheeled trail destination in the Adirondacks' Whiteface Region. The lower trails are smooth and flowing. As you gain elevation on the shoulder of Marble Mountain the terrain becomes increasingly but delightfully technical. This network contains the greatest amount of mileage of any network in the area, and can be linked up with the network at Whiteface Mountain. The most recent addition to the riding options in the Whiteface Region is a shuttle run, affectionately known as “Poor Man’s Downhill”. This beginner's downhill run is appropriate for any style of mountain bike but it's still a mountain trail, so use caution when riding it. Look for the town of Wilmington to offer shuttle service at a minimal cost every other weekend throughout the 2018 season. The 2018 Shuttle Schedule is a PDF document you can download. These trail systems are built and maintained by volunteer members of the Barkeater Trails Alliance in collaboration with public agencies, including the New York state Department of Environmental Conservation, the Adirondack Park Agency, and not-for-profit environmental groups, towns, villages, and private landowners. 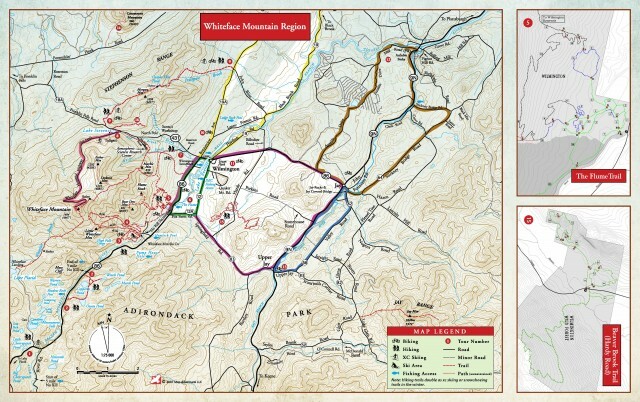 Stop into a local bike shop for the latest trail conditions or to purchase a map. 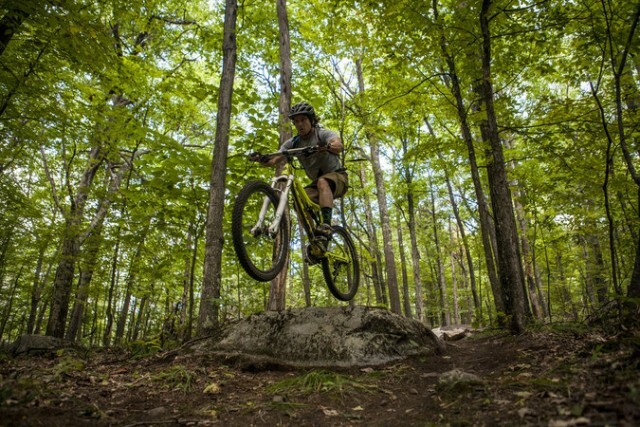 The Whiteface Region is also home to Whiteface Mountain’s Bike Park, where riders can revel in the 2,476 feet of lift-serviced vertical on a variety of intermediate and advanced terrain. The trails at Whiteface are narrow single-track that traverse the mountain and run between the ski trails. A shuttle vehicle will deliver you to beginner and intermediate terrain on the lower mountain before you test your skills on trails accessed via the gondola. One lift pass is valid for unlimited runs on either the shuttle or gondola. All trails are well marked and include the familiar green circle, blue square, and black diamond difficulty ratings. Rental equipment and mountain access is available seven days a week throughout the season. 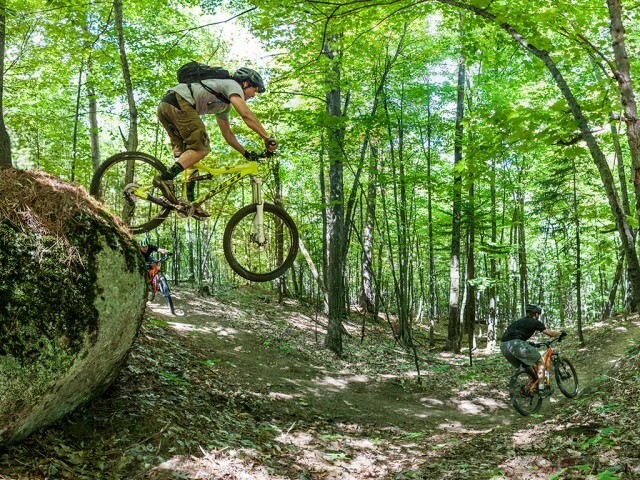 Also check out our town jump park and pump track, a must do for any mountain biker in the Adirondacks!